7th JULY 2017: Gujarat High Court restrained the NCLT from conducting any further proceeding against ESSAR till they hear RBI’s side. 17th JULY 2017: Gujarat High Court disposes off the Petition of ESSAR & observes that RBI press releases should not ‘direct or guide judicial/quasi judicial authorities’. 2nd APRIL 2018: While matter was in NCLT, 2nd Round of Bids were Invited. Arcelor Mittal – Nippon Steel, Numetal – JSW Steel, Vedanta Group made their bids. 19th APRIL 2018: NCLT Ahmedabad however instructed the RP to rather reexamine first round of bids afresh due to the reason that provisions of IB Code were not meticulously followed by RP while rejecting bids of first round. 17th MAY 2018: Numetal offers Rs 37,000 Crore for ESSAR Steel but they also showed their willingness to offer Rs. 42,000 crore. The First Bid was already open and they knew that Arcelor Mittal had offered 32,000 Crore. 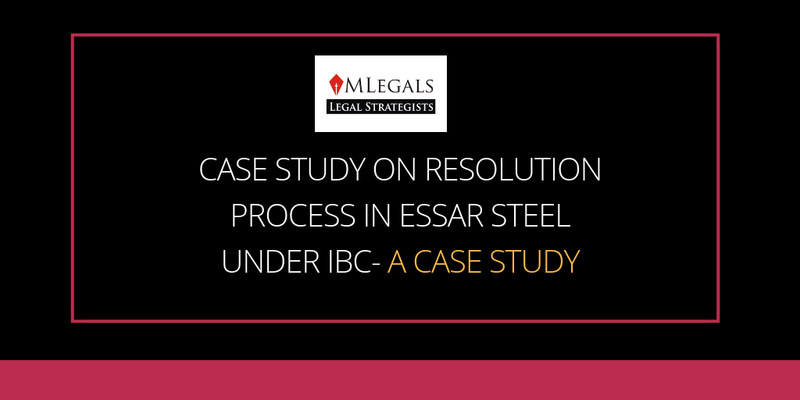 Arcelor Mittal filed an appeal in the Supreme Court and the matter came to be heard on 12th September 2018.  Arcelor had “deep pockets” and had made provisions for the money. But we can’t pay for Uttam Galva, KSS Petron under the law. It will immediately become taxable income in the hands of the company if paid without any consideration.  Arcelor Mittal is ready to pay but we have to arrive at a structure as it is not as easy as saying. Both are listed companies and there are regulatory hurdles in payment. Sufficient provision for payment of debt should be treated at par with payment.  Also, NCLAT has not provided anything as to how Arcelor Mittal has to pay the amount to both the companies. 18th September 2018: The Apex Court asked Numetal to establish that there was “subterfuge” by rival bidder Arcelor Mittal in divesting its shares in two debt ridden firms before bidding for ESSAR Steel. The onus was casted upon Numetal to show as to how Arcelor Mittal was the active promoter of Uttam Galva. Numetal argued in the Apex Court that Apex Court could only examine the eligibility and not the resolution plans. Mittal of cheating Indian banks of Rs 7,000 crore owed by Uttam Galva Steels Ltd. and KSS Petron by selling its shares just before bidding in a susceptible manner. a. Whether Arcelor Mittal is eligible to become the Resolution Applicant? b. Whether Numetal is eligible to become the Resolution Applicant? c. Whether the 1st Bid will be considered as the Valid Bid? d. Whether the 2nd Bid will be considered as the Valid Bid? e. Whether the Extension of Time Period beyond 270 days will be allowed? © Copyright AMLEGALS Disclaimer: The information contained in this document is intended for informational purposes only and does not constitute legal opinion, advice or any advertisement. This document is not intended to address the circumstances of any particular individual or corporate body. Readers should not act on the information provided herein without appropriate professional advice after a thorough examination of the facts and circumstances of a particular situation. All due care has been taken for the correctness however, if any discrepancy remains it may be brought to our notice to revisit again. There can be no assurance that the judicial/quasi-judicial authorities may not take a position contrary to the views mentioned herein.